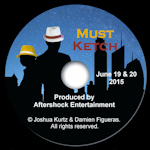 Must Ketch is a thrilling crime-adventure story following the timeless duo of Ketchup, an ex-cop turned Private Eye, and Mustard, a brand new investigator with an upbeat attitude. Together, they’ll have to tackle the biggest crime syndicate in Condiment City; The Cabinet. Filled with edge-of-your-seat action, mind-blowing plot twists, and groan-worthy puns, this brand new musical by Joshua Kurtz and Damien Figueras is guaranteed to be fun for the whole family. 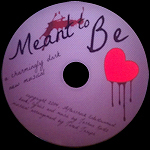 A charmingly dark musical comedy about a serial killer in love. Maxwell only wants Sophia for his own. The lengths he goes to for this to happen you may find hard to fathom. This one is for mature audiences only. 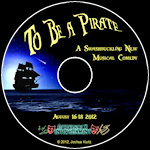 Swashbuckling musical comedy. The whimsical tale of a young man in love – with the sea! When he sings “Do You Want to Be a Pirate”, the whole town signs onto his crew and all types of merriment ensue. 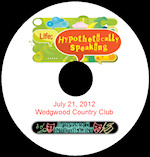 A series of one act scenarios that explore the complexities of life’s joys, sorrows and other questions. The first Musical written by “Joshua Kurtz” , based on his popular and ongoing web comic. The hero a young man who just wants “Adventure at Last”, finds it when he is convinced to become an assistant to a dark villain and his evil band. This musical opens with “It’s Tough to Be a Zombie in Love” as Hank, recently dead, comes back to the World of the living to try and regain his old love and his old life. His adventures and those he meets make this a fun story with lots of twists in both the plot and stereotypes of some of our favorite mythical archetypes. Cowritten by Joshua Kurtz and Dom Fera (dfearstudios.com), this series of scenes explore Extraordinary Beings with everyday problems and Ordinary People in extraordinary situations. * Shipping and handling costs cover shipping to the Continental United States only. Please contact us for shipping costs to other locations. Sales Tax will be added to orders shipped to New Jersey.